The 2.7-liter V6 TDI engine is a smaller version of the 3.0-liter TDI engine. This engine was developed by Audi but also installed in Audi cars only. The only difference between the two engines is the 2.7 has a smaller stroke. This engine has 1:1 stroke ratio (square engine). 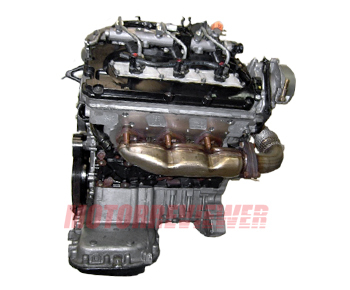 The engine has compacted graphite iron cylinder block, forged steel crankshaft, four main bearings, aluminum heads with 4 valves per cylinders and tow camshafts. The engine also is equipped with Common Rail direct injection system and single variable-geometry turbine (VGT) turbocharger with intercooler. More technical information about components you can read in 3.0 TDI engine description. The 2.7 TDI engine is significantly less power, whereas the 3.0 TDI has excellent performance. Also, it is less smooth than the 3.0-liter engine. But the 2.7 liters engine is a cheaper option, and of course smoother and more preferable than a 2.0 TDI. The 2.7 TDI suffers from the same injector issues as the 3.0 TDI. They are essentially the same engine with some detail differences. BSG, CAM, CGK, CGK, CAN - 163 hp (120 kW) engine for the Audi A4, Audi A5 and Audi A6. BPP - 179 hp (132 kW)/3,300-4,250 rpm; 280 lb ft (380Nm)/1,400-3,300 rpm. Application: Audi A4, Audi A6. CAM, CGK, CAN - more powerful 190 hp (140 kW) version for the Audi A4, Audi A5 and Audi A6 models.